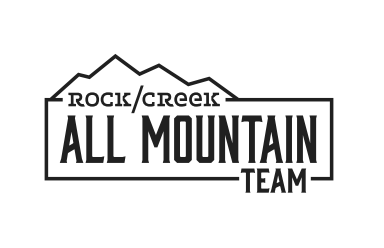 Congratulations, you’re on the 2019 Rock/Creek All Mountain Team! We’re excited to invite you into the Rock/Creek 2019 All Mountain Ambassador Team. Please review all guidelines of the program below. If you have any questions or if your circumstances have changed, please let us know. We not only want you to participate in events, we also want you to inspire the community and champion other outdoor athletes’ goals and dreams. We aspire to partner with people who are positive and passionate representatives of outdoor recreation. In essence, you are an “in the field” representative, and the image you portray is a direct reflection of Rock/Creek, The North Face and the All Mountain Team. As a Rock/Creek All Mountain Ambassador, you will be expected to wear your The North Face kit in public events throughout the year. These can be road races, trail races, rock climbing competitions, mountain bike races, paddling events, non-profit community-based events, fun runs, obstacle events, etc. We don’t care about podium finishes, we care about great attitudes and positive energy. You must be willing to promote Rock/Creek and The North Face by posting and tagging us on your preferred social platforms (we use Facebook, Twitter and Instagram). You may not have a concurrent relationship/sponsorship with any other Retailer while being on the Rock/Creek All Mountain Team. Ambassadors are required to complete 15 hours of volunteer work throughout the year. Any type of volunteer work is acceptable, though outdoor and environmentally-minded service is preferred. New for 2019: You are responsible for tracking and logging your volunteer hours in this form. We will review volunteer hours at the end of the year. Failure to complete the required number will jeopardize your position on the Team. Rock/Creek and The North Face will sponsor an AMT meetup at least once per quarter. These might be pint nights, group outings, local volunteer work, etc. We understand that schedules are tight, but we ask that you do your best to attend as many of these meetups as possible. In return, we will do our best to schedule meetups to accommodate as many people as possible, and we’ll provide the beer. For Ambassadors not local to Chattanooga, stay tuned for more info on meetups in your area. Rock/Creek hosts and sponsors many events each year, such as pint nights, demo runs and film festivals. You are not required to attend all of them, but we ask that local Ambassadors attend some and promote them via word of mouth and/or social media. You are not required to wear your AMT kit to these types of events. Please note: This is not a paid athlete sponsorship program. No monetary compensation will be awarded to the All Mountain Team. Ambassadors will be provided with custom The North Face apparel branded with the Rock/Creek All Mountain Team logo. Plus, Ambassadors will have opportunities to earn extra gear and swag throughout the year. If you are a returning Ambassador, you are not guaranteed an entirely new kit for 2019. You will receive an insider-exclusive Rock/Creek pro-deal discount*. Your pro-deal is a privilege, and pricing should not be shared with family, friends, or anyone else. *Limitations and deadlines will apply, more info to come. Ambassadors receive free mountain bike, SUP and kayak rentals from Rock/Creek Rentals. During peak times (weekends during the summer), availability is not guaranteed. Ambassadors receive free entry to all Rock/Creek races with a provided coupon code. It is your responsibility to sign up before spots run out. Additionally, we will offer discounted entry to ticketed in-house events and other affiliated community events when possible. Tag Rock/Creek in your photo, video, or location. Use the hashtags #RockCreekGear, #setnfambassador, #neverstopexploring and #AllMountainAmbassador. * Click here for examples of the kinds of posts we love to see. Tag us and use the hashtags in posts that are relevant to Rock/Creek, The North Face, gear, the outdoors, a race, etc. This can be a training day, an event, a finisher metal, volunteering, a casual day in the woods, etc. You don’t need to tag us in photos from your family’s tacky Christmas party, a video of your cat doing something hilarious or pictures of you throwing down at a wedding (unless it’s an AMT wedding). You get the idea. Your privacy settings may prevent us from seeing your posts, even if you tag Rock/Creek. Feel free to send your photos to [email protected] if you’d like to keep your privacy settings locked-down. If you feel that this request is unreasonable, please reply to this email and let us know your concerns. No one will be removed from the team based on a lack of posts, but we deeply appreciate the callout if you can! Facebook Tag Rock/Creek in your post or photo. Hashtags are optional on Facebook. Twitter Tag @rockcreek in your tweet or photo, and use #AllMountainAmbassador if space allows. Unlock your privacy settings – If only your friends can see it, we’re less likely to be able to find it. Use your hashtags – we follow these closely. If you use them, there’s a good chance we’ll see it.